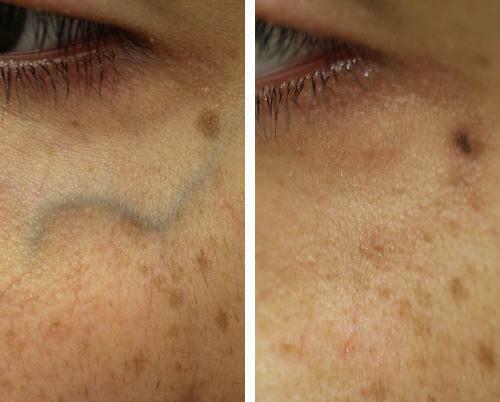 Most people are familiar with spider veins on the legs, but how about on the face? 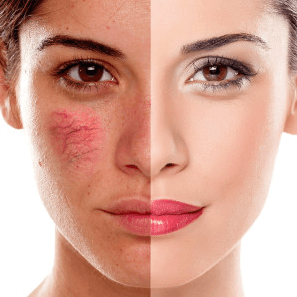 As a person ages, their skin goes through a serious of unattractive changes. Their face is susceptible to forming red lines on their cheeks, nose, and/or chin. These red lines are small broken blood vessels underneath the skin which start to become visible. They are not painful, but they’re visually unpleasant and embarrassing for the person. There is roughly a 50% chance that you’ll develop spider veins on your face after you reach the age of 30. The veins may look even worse if you experience pregnancy, sun damage, or take birth control pills too. Although you cannot stop aging, there are preventive measures you can take to stop these other outside factors from contributing to your facial spider vein problem. If you are experiencing facial veins in San Diego, it important to seek treatment immediately before they further develop. Give us a call today to schedule your FREE facial vein consultation with Dr. Mann, or you can easily book your appointment online! Click here to book your FREE consultation online! If the spider veins on your face continue to get worse, there are fast and safe laser treatment options available at our vein clinic in La Jolla. Laser therapy is the most popular treatment option. It works to restore the natural look of your skin by eliminating these broken blood vessels underneath the skin. This is not an invasive procedure either because the laser merely sends light wavelengths through the skin which get absorbed by the veins. It is best to get laser therapy as soon as you start noticing the spider veins. You may only need one laser treatment session if you have small veins. The session should be over with after 10 to 15 minutes. You may experience a little discomfort, but there is an option to have a topical anesthetic applied beforehand. This can help reduce discomfort significantly. When the procedure is done, there may be temporary side effects like redness, blistering, and bruising on the affected area. These side effects should clear up after about a week or so. There is an 80% to 90% success rate for people who’ve gotten this procedure. 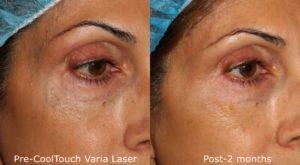 Your facial spider veins should be less apparent than they were before after getting laser therapy. Just make sure you continue to take other precautions, such as avoiding sunlight, cutting down on alcohol, and watching what you eat. These can maximize the effectiveness of the laser treatment for a long time to come. If you are experiencing facial veins we can help! Dr. Mann specializes in the treatment of facial veins and spider veins! Schedule your FREE consultation today!